Join Stephen Pierre & The Jazz Collective in Bermondsey Square on the first Sunday of the month until 2nd September for an informal and relaxed afternoon of jazz from 1 PM to 4 PM. In addition, Stephen and his band will be playing two extra dates on Sunday 27 August and Saturday 15 September, both 1 PM to 4PM. Stephen is a London based jazz and blues singer. 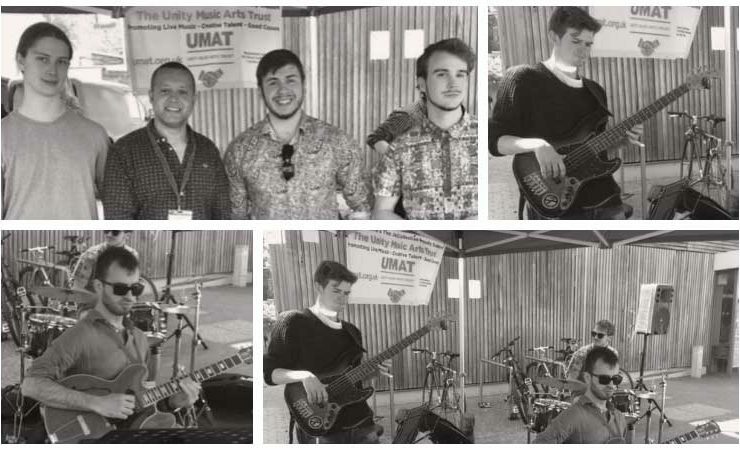 The Jazz Collective features a number of fine guest musicians, students and graduates invited from leading music conservatories. You can also catch Stephen & The Jazz Collective at B2 Lounge on the first Tuesday of the month from 7 PM to 9 PM. Bermondsey Square is a short walk from London Bridge and Southwark High Street. There’s a Santander Cycle docking station around the corner and lots of buses stop close by. Find your best route with the CityMapper app. Stephen Pierre & The Jazz Collective are supported by the Bermondsey Square Community Fund.